The world is going full-on AI. In our personal lives, tools like Apple’s Siri, Amazon Alexa and Google Now are becoming more mainstream (my Mom, for instance, is now using Siri to make calls, find out directions, etc). The same has been happening in the B2B world. I’m sure by now, you’ve heard of Salesforce’s latest foray in AI as well. As a pioneer in AI solutions for B2B marketing and sales, Lattice has always believed that its not only important to get the predictions right, but to provide the right context around those predictions so that sales and marketing can take action. 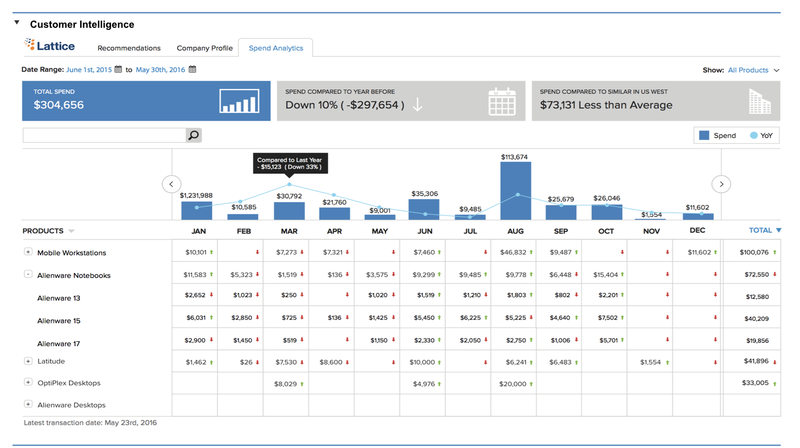 That’s why we launched Buyer Insights on the Salesforce AppExchange last year. That’s why we’re now the onlyGold-Certified predictive marketing and sales ISV on Salesforce AppExchange. Companies like Dell, EMC, CDW, HireRight and the like use Lattice Buyer Insights to not only suggest which customers will buy more based on custom predictive models, but also provide additional information and insights about (for example) what customers have purchased, key contacts, what intent they’ve expressed, what support tickets they’ve opened, etc. Sales gets a complete view of the customer and is better prepared for their conversations. They don’t need log into multiple systems (ERP system, support system, etc.). Ultimately, we’ve found that without this context, the AI recommendations are not adopted by sales – because they don’t (a) trust them and (b) know what to do with them. The payoff here is between 5% – 14% higher sales quota attainment, 3x higher conversion rates and 10x higher revenue. I’d love to hear your thoughts. What other context or data would you find useful to put in front of your sales reps so that they can be better prepared to act on leads, accounts and customers they’re pursuing? Please add your comments below.